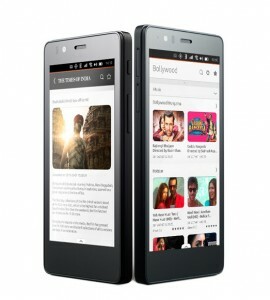 Today a long awaited ubuntu phones are launched in INDIA. Aquaris E4.5 and E5 Ubuntu Edition smartphones have now launched in India with Snapdeal, Both devices will be sold in black and will be available at a price of Rs 11,999 for the Aquaris E4.5 and Rs 13,499 for the Aquaris E5. The sleek, 8GB Aquaris E4.5 Ubuntu Edition features a five megapixel front camera and eight megapixel rear camera with autofocus, dual flash and full HD (1080p) for super sharp video. It boasts a MediaTek Quad Core Cortex A7 processor and 1GB RAM for a faster experience. The Aquaris E5 Ubuntu Edition comes with a host of impressive features including a 5’’ display with IPS HD technology, HD screen resolution of 720 x 1280 pixels and 380 cd/m2 maximum brightness. The device features a five megapixel front camera and thirteen megapixel rear camera, equipped with high quality Largan lenses and BSI sensors. Both devices come fully unlocked with dual SIM functionality so that users can select their operator of choice and can use SIMs from two different operators at the same time.